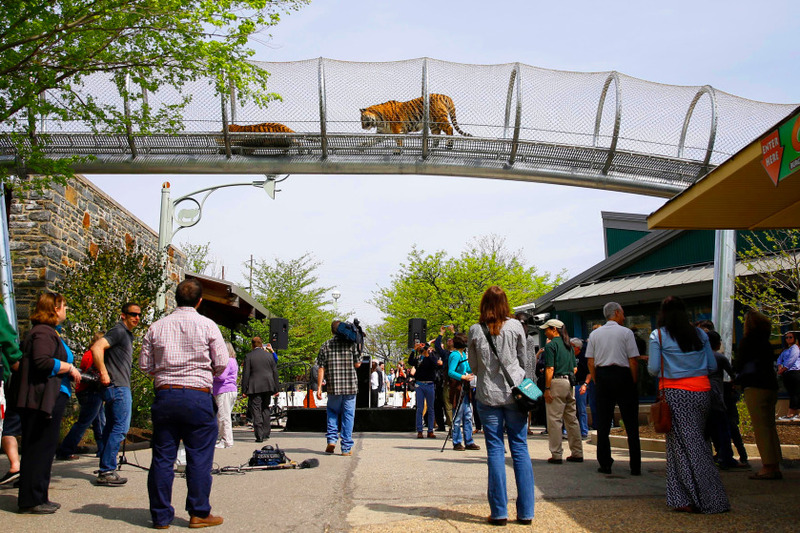 That town would be Philadelphia whose zoo now allows their big cats to freely walk outside their enclosures in protected, open-air tubular trails. 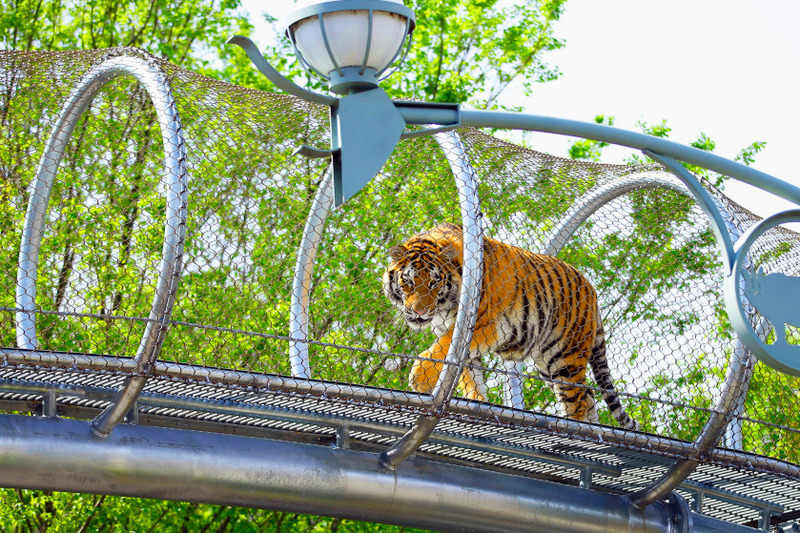 The tracks of the “Big Cat Crossing” extend above the cats’ zoo habitat and around the zoo campus. The tigers, lions, pumas, jaguars and leopards will all have their turn on the walk and be exposed to the myriad changing stimuli of an enriched environment which improves the animals’ quality of life. The Philadelphia Zoo also has extended habitat trails for small primates and orangutans. Though not the first to give expanded roaming access to zoo animals – according the NY Post, that would be the “O Line” at the National Zoo which allows orangutans to swing between exhibits – it will definitely not be the last as many zoos move towards mixed species exhibits, more naturalistic habitats, and additional enrichment programs.